Woo! Im almost not behind schedule anymore!! 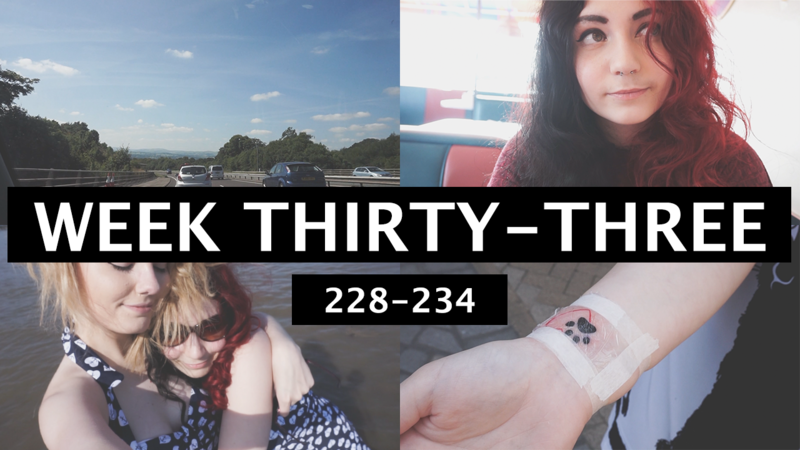 These past couple of vlogs have been so hard to edit, i’m not sure if it’s just the sheer amount of footage, me having to recover or just actual life events getting in the way, but either way- it’s up now! You are welcome future me! Yes, we are almost at the end of summer, it’s terrible but hey atleast we can look back and see what we did….right? On Monday we went to Llandudno, which was around an hour away when traffic was included. Didn’t really do much apart from shop, — —— — —-, visit the beach and forget the actual reason we visited- which was to visit a place that apparently did amazing crêpes. We ended up back in Rhyl and went to the arcades / watched the sun set which was nice. Left the camera in the car though so no footage of that lol soz. On Tuesday we went back into Chester and Becky got her tattoo, got lunch, – — —— — —- —–, did some makeup shopping in Debenhams and remembered why we had gone to Llandudno the previous day…. and headed back there only to find the place was completely unairconditioned so got icecream instead and walked to the pier. Wednesday was our last day and it was pretty chill. We spent the morning slowly packing up, got breakfast then headed back to Rhyl where we did some last minute souvenir shopping and sat at the beach unable to function because of the heat before leaving to get some food and returning for the arcades. Becky has a 2p machine problem okay?! We ended up leaving at like 10pm or something and finally arrived back home at 2:30 ish ? On Friday I had plans with Becky, her Tom and Alex which turned into plans with Becky, her Tom, Alex and Beckys family- it was really nice. and then for the rest of the weekend I was editing/sleeping.